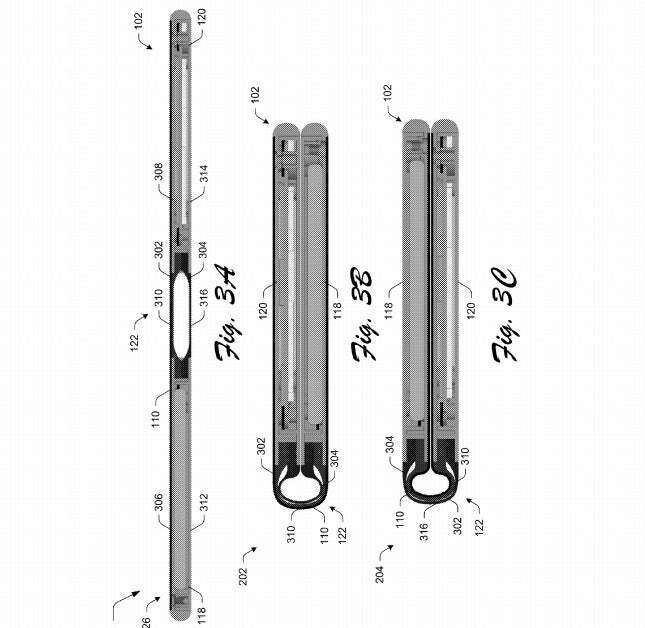 Don't get your hopes up too much—this patent was applied for in 2014. In 2009, Microsoft enflamed the minds of consumers with Courier, a foldable phone/tablet concept that was eventually cancelled. Years later, a sort-of new patent implies Microsoft hasn’t (or hadn’t) totally given up on the idea. 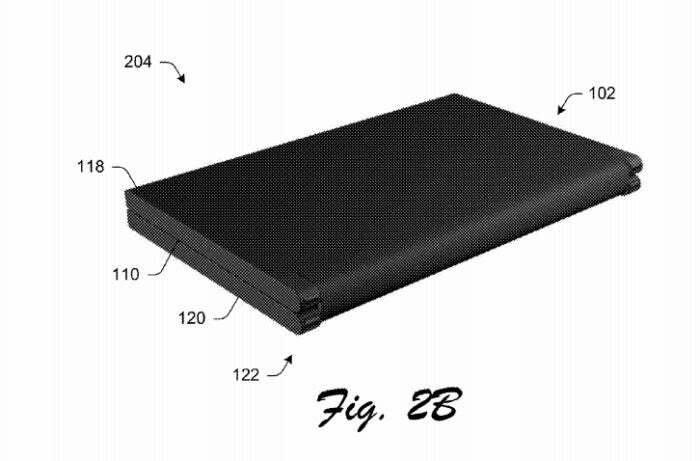 According to the new patent, which was approved on Tuesday, Microsoft envisions a mobile device with a continuous viewing area that extends across the foldable region—similar in spirit to the dual-screen Courier concept. It’s an exciting idea, but there’s one major caveat: This is a patent from 2014 that the U.S. Patent Office finally approved, not one that Microsoft applied for more recently. As such, it shows that Microsoft was eyeing ambitious, foldable mobile devices at a time when the landscape for mobile computing was much more favorable for Microsoft than it is today. (Remember how Microsoft intended to lure Android phone makers with Windows Phone derivatives like the HTC One M8?) Today, Microsoft’s mobile market share sits at well under 1 percent, while Android and iOS continue to dominate the mobile landscape. Microsoft’s foldable phone/tablet concept: unfolded at left in tablet mode, and folded into “phone mode” at right. Nevertheless, Microsoft’s patent is intriguing, to say the least. It reasons that phablets represent a poor compromise, straddling a phone’s “pocketability” and the large, easy-to-read display of a tablet. 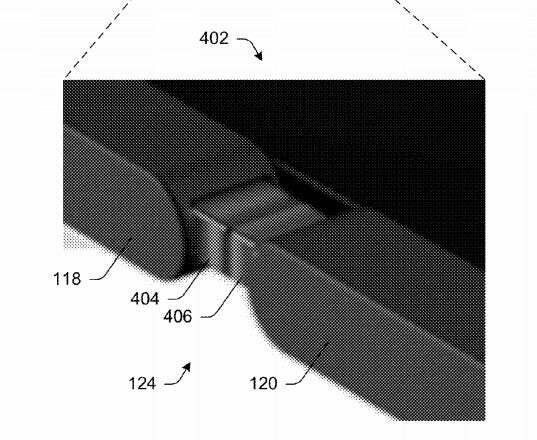 Microsoft’s patent suggests that a display could be stretched across a hinge, so you’d have the option of a folded, phone-sized device that could be unfolded to reveal a large, thin screen. Microsoft has filed what might be called a “broad” patent, suggesting that this arrangement could be configured as both a desktop and mobile display, with connections to both an external display as well as an unexplained peripheral device. 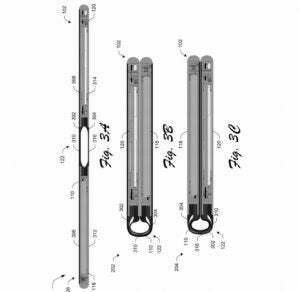 Still, the patent doesn’t get into some of the nitty-gritty technical details. One question that comes to mind: What to do with the portion of the tablet-sized display that’s folded away from view? Displays consume power, and no current display can be partially powered off, just darkened. 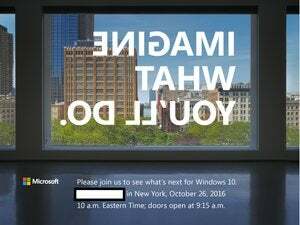 Unless Microsoft’s developed a way to turn off a portion of the display that’s not in use, the phone will still be consuming the power of a tablet. The hinge that would connect the two halves of the Microsoft concept, creating a seamless display. Why this matters: Like the El Dorado myth of the city of gold, Microsoft fans haven’t given up on the idea that a Surface Phone exists somewhere in the bowels of the company's research labs. Microsoft’s patent checks some of the important boxes: It would be a category-defining product in the same vein as the original Surface, and is in line with the current thinking that a Surface Phone won’t necessarily be a phone. Right now, this patent approval suggests that there’s still a flicker of life in Microsoft’s mobile aspirations, and perhaps the Surface Phone. But the cynical viewpoint is that this represents the aspirations of a time gone by, rather than a promise of things to come.